Little Saints Nursery (including several Pudseys, a Gruffalo, Superwoman and lots of finely dressed Princesses!) 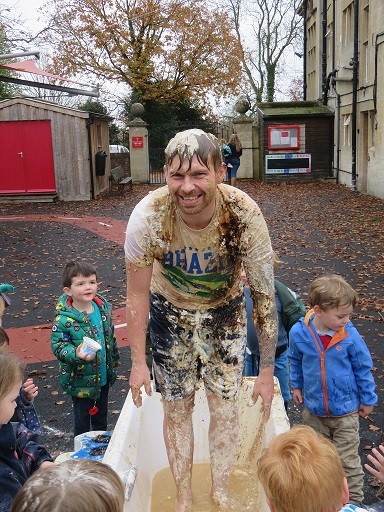 enjoyed a fun & messy afternoon on Friday when they gave Acorns Room Leader Jon, a very special ‘bath’ to raise funds for Children in Need in the Pre-Prep courtyard! Jon was an exceptionally good sport and endured his bath with a smile! 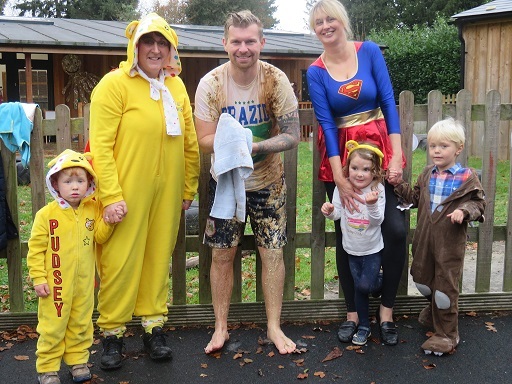 Donations are still coming in, but so far Nursery have raised £120 for Children in Need with a fun and memorable time had by all!